We don’t eat out much, I prefer to make my own food, but every once in a while I’ll crave something I’ve eaten before someplace and we’ll head over. The sad part is usually I have that one thing and it’s either 1. not as good as I remember, or 2. the ONLY thing good about the meal. SO rather than spend a bunch of money on food I don’t like I usually learn to make my own! I went through a phase (when I was pregnant of course) when I craved Chili’s skillet queso for like a month straight! Thankfully it’s EASY to duplicate, esp in the slow cooker. This is larger than most recipes, but I have a large family and all the kids love it too. It’s a favorite party food as well, perfect for any potluck or game day get together! 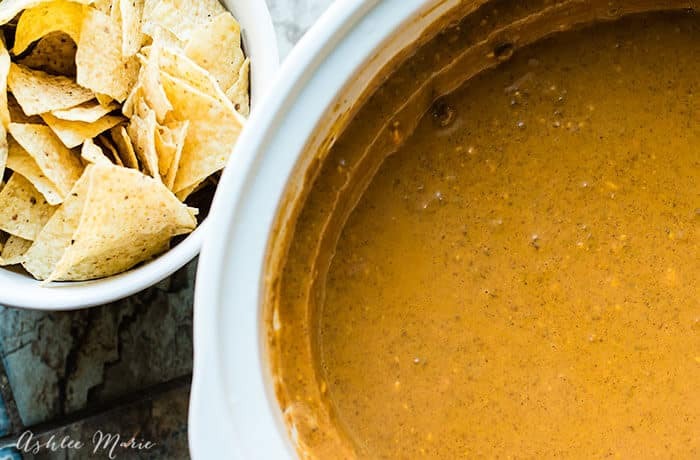 I recently did a live cooking show sharing 8 perfect game day recipes – And of course this dip is one of them! 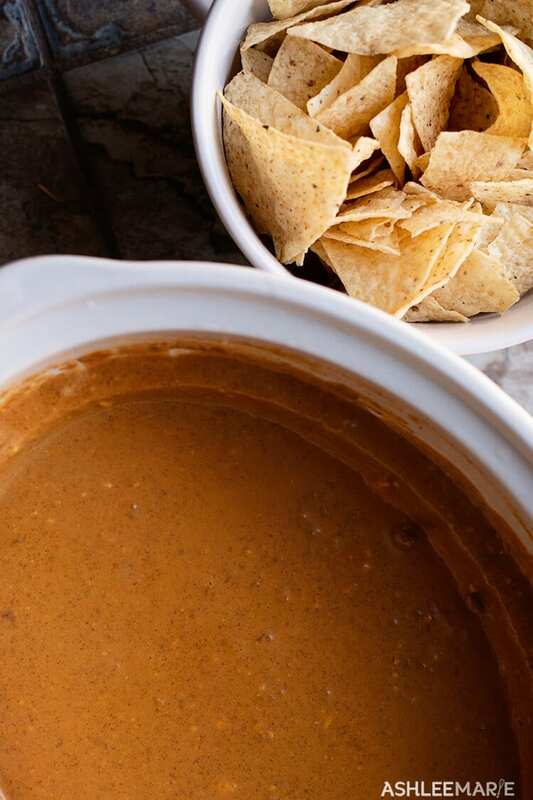 It tastes JUST like the chili’s dip and everyone loves it! 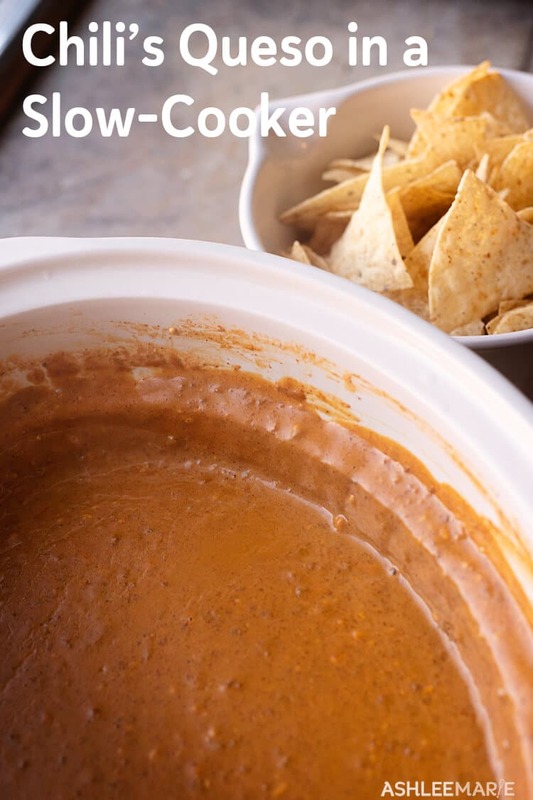 easy slow cooker copycat spicy queso recipe - this is the thing I craved the most when I was pregnant with my youngest so I learned to make it myself instead of constantly eating out! and she came over to my channel and shared her 7 layer dip! What’s your favorite, easy, recipe to take to a party? I’m always on the look out for more great recipes to add to my collection! I love Velveeta cheese and can never find it. It makes the best dips and mac/cheese. Digging on this recipe – perfect of the big game! can never find it? that’s insanity! 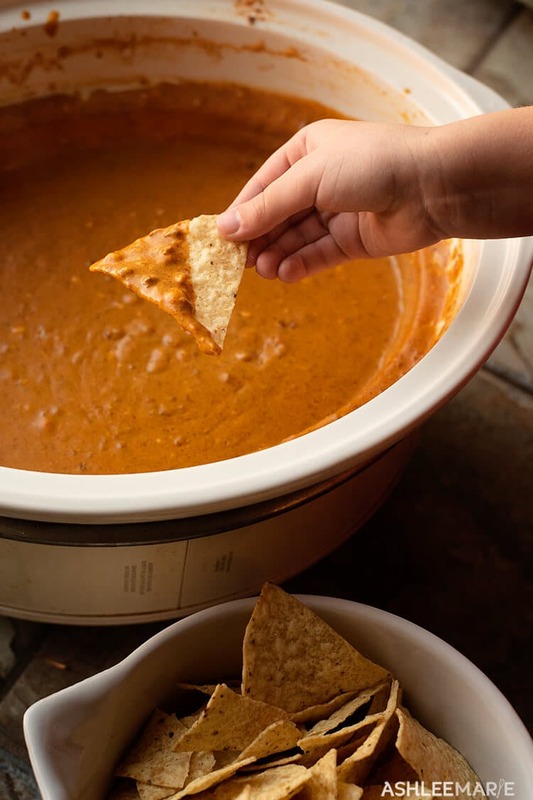 it’s perfect for dips! I am trying this for the first time today just put it in the crock pot cant wait to taste it! !